James Ross Zizelman, 94, of Rockford, Ohio, died Thursday, January 31, 2019, at Kindred Hospital in Lima, Ohio. He was born at home in Mercer County, Ohio, the son of Frank and Bertha (Brush) Zizelman. Jim graduated from Rockford High School in the Class of 1942. He then joined the U.S. Army and served in the South Pacific during WWII. After his service, he came back home to farm, which he continued throughout his life. Jim married Rose Agler on February, 1944, and she preceded in death in November, 1979. On August 4, 1980, he married Linda Parent, and she preceded in death on October 10, 2018. Jim not only loved farming, but always had a large vegetable garden which he enjoyed working in. He used to raise lots of turnips and give them to all his friends and anyone that would take them! He loved to play cards all day long, and enjoyed fishing…especially flying into to Rice Lake in Canada; he also would go to Grand Lake St. Marys to see what was biting. Most of all, he loved spending time with his family—all of his children and grandchildren gave him so much happiness. 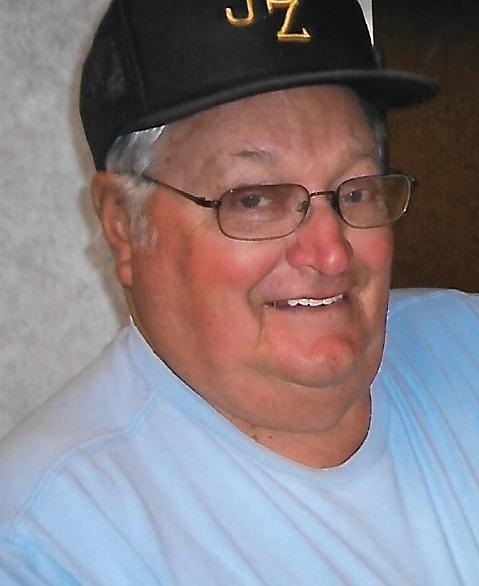 Jim was a member of the Shanes Aerie Fraternal Order of Eagles #1292 in Rockford, where he served as President and Trustee for many years—he enjoyed the card games there with his friends. He was also an avid bowler and played on the Rockford Canning Company League and the Eagles Bowling League on Wednesday and Friday nights. He was a member of the Rockford American Legion, Glenn D. Eckhart Post #508 and the Celina Eichar-De Curtins VFW Post #5713. Surviving are children Brian (Joyce) Dicke of Rockford, Michele (Brent) Buschur of Beorne, Texas, and Angie (Todd) Thomas of Celina, along with 12 grandchildren, 7 great grandchildren, and 1 great-great granddaughter. Two siblings survive: Dan (Phyllis) Zizelman and Ruth I. Sites, both of Celina, Ohio. Deceased in addition to his parents and wives, is a granddaughter and a son Tom Zizelman, Tom’s wife, Beverly, survives.